We have had a few peeks of the sun here, a promise of what is to come. And this is what this adorable photo is — a hint of what is to come. 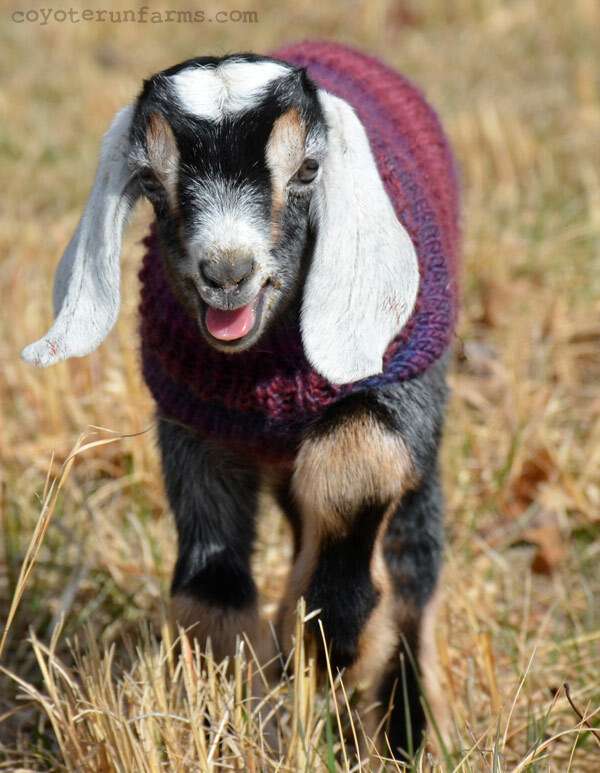 A bigger story about goats, knitting, and soap will be posted soon. For now, here is a happy smile from a new baby of spring. Photo used with permission and courtesy of Coyote Run Farms. Thank you!